Hamsters have quickly become the popular small house pet. Their most popular characteristic are their cheeks that go down to their shoulders. Hamsters use their sense of smell to locate food and potential mates. 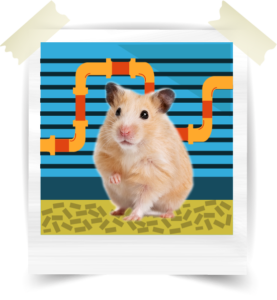 Hamsters are sensitive to high pitched sounds and can communicate on an ultrasonic level. Visit Petland and see if a ferret is a match for your family. Visit Petland to learn more about our wonderful small animals.